We are coming into the rainy months that leave us all feeling a little blue. Its days like this that we need some new, calming music to relax to when we are cooped up in our offices or homes. We are always updating our playlists depending on our moods and occasions so what is better than creating a rainy day playlist to beat those down days! Most of these songs are available on most streaming platforms such as Spotify or Apple Music. 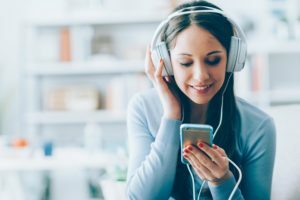 Spotify offers various deals for the premium subscription services from half price monthly payments for students to family bundle deals so you can share the music! You can use Spotify’s freemium service which allows you access to their massive catalogue of music however you will not have access to the offline playlist features and will be subjected to ad’s playing every 3 songs. You can easily access all their music, create playlists and release alerts on the premium subscription. Check out if you are eligible for any of their offers. Check out our rainy day playlist selection and kick back with the perfect soundtrack to your rainy day.